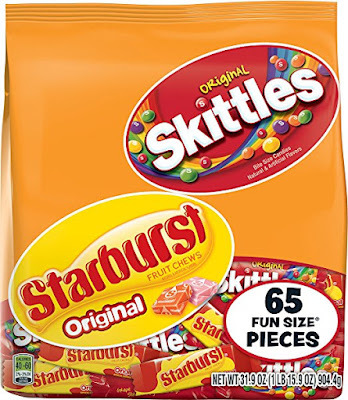 Hop on over to Amazon where you can score this Skittles and Starburst 31.9 Ounce Bag for only $6 shipped when you clip the 20% off coupon and opt to Subscribe and Save. That's just 9¢ per fun-size candy! Perfect for holiday gifting or simply sharing with friends, this variety pack includes the original Skittles and Starburst flavors that everyone knows and loves. Consider them everything you need to keep the good going.